ESL are continuing to grow as they add more and more titles to their popular league. The most recent addition is Tom Clancy’s Rainbow Six, which will receive a rather special inaugural competition. Ubisoft and Xbox have teamed up with ESL to bring us the first Rainbow Six league, and it will begin in March at the Intel Extreme Masters in Katowice, Poland in front of the huge crowd. The launch event will also feature a show match on PC to showcase what’s to come in the Pro League. Rainbow Six Siege brings a new style to the FPS genre, and the ESL and Ubisoft partnership hopes to continuing growing the already steady competition available on PC and Xbox One. Their leagues are frequent which always aids both casual and competitive players to take part. Naturally the Pro League will introduce your major MGOs taking place in the Major competitions. “Tom Clancy’s Rainbow Six Siege was built from the ground up with competition in mind. 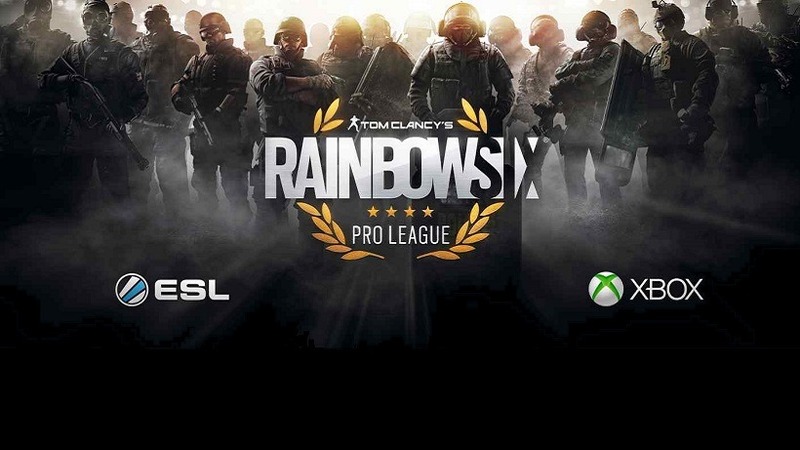 We’re excited to partner with ESL, one of the biggest names in esports, to deliver a league for Tom Clancy’s Rainbow Six Siege fans to compete and enjoy the game they love,” said Xavier Marquis, Rainbow Six Creative Director at Ubisoft. “ESL Pro Leagues have become synonymous with professional gaming across the esports industry. We are delighted to add Tom Clancy’s Rainbow Six Siege to the line-up of games, and are excited for what is sure to be a great opening season of play. Our online ESL Play community has rallied around Rainbow Six Siege competition, and we’re sure that with our partners at Ubisoft and Microsoft, we can take the Pro League to the next level,” said David Hiltscher, VP Gaming Communities at ESL. The inaugural competition taking place at IEM Katowice will focus primarily on the eight top PC teams from Europe. The tournament kicks off on the 4th of March, just days before the tournament starts on both PC and Xbox One in Europe and North America. The league itself will see the top two teams from each region, on PC and Xbox One, make it through to the Season Finals where they will battle it out for $100,000. We’ve yet to hear of any major organizations picking up Rainbow Six teams, but you can rest assured come later this month we will see a pick up. Noting that IEM Katowice will feature Counter-Strike and League of Legends, it could be in the best interest of teams such as Fnatic or Cloud9 to pick up a European team with the hopes of taking home that inaugural win. Next article Vote to Play: which of the following games do you want added to PS Plus in March?